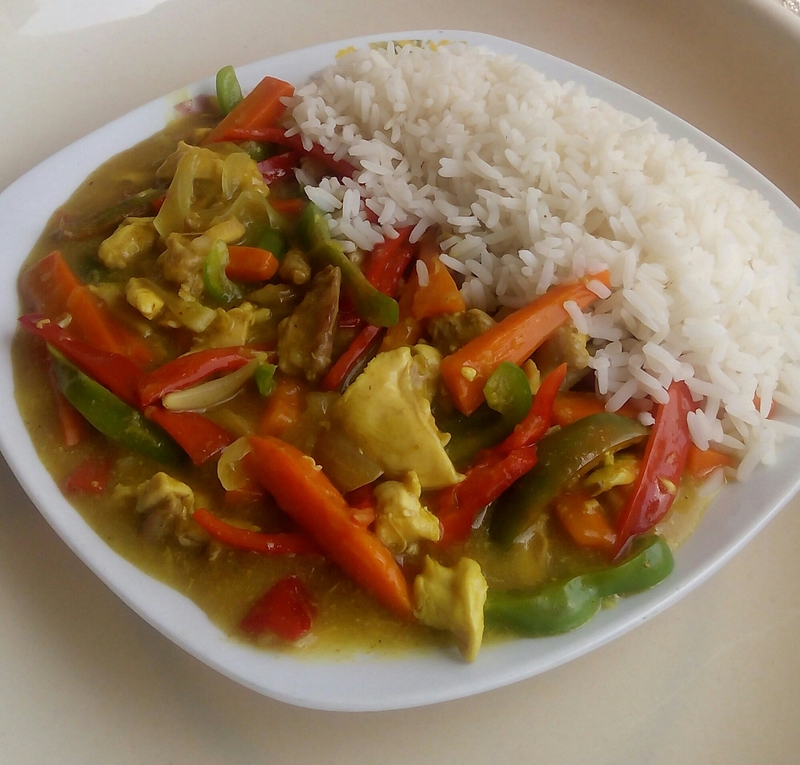 take a break from stew and try this wonderful chicken sauce…. Recipe coming right up. -1 string fresh ginger, not dry ginger. -1 spoon 2 spoons curry powder. -1 big red bell pepper. -1 big green bell pepper. -debone chicken breast and cut into long thin stripes and set aside. -if you are using whole chicken, just wash and continue with the steps below. -now using your kitchen grater, grate the garlic and ginger with the part with tiny holes and set aside. -cut green bell pepper, red bell pepper, onions, and carrots into desired shapes. -mix corn flour with little water and set aside. -now boil chicken with 100cl of water, grated garlic, ginger, stock cubes,curry, onions and salt to taste. 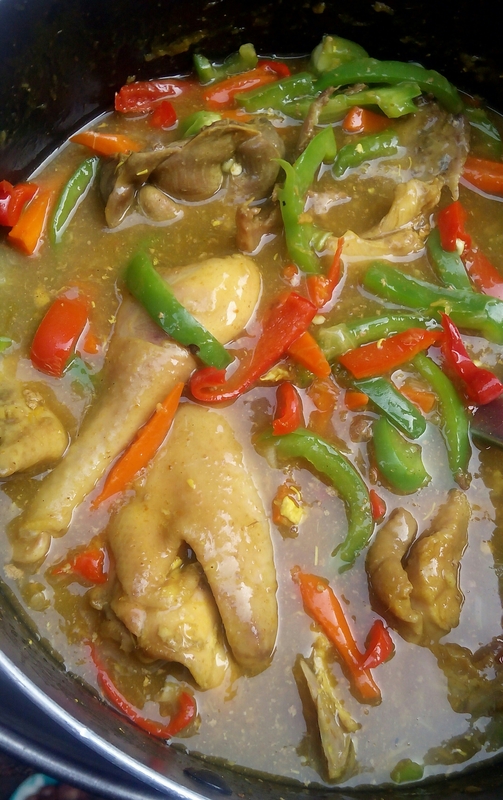 -when chicken is almost done add mixture of corn flour and stir as you pour. -stir corn flour mixture untill you are satisfied with the consistency you prefer either thick or watery. -add more water if it feels to thick. -cook on low heat for 5mins. -after 5mins add add carrots and cook for another 4 mins. 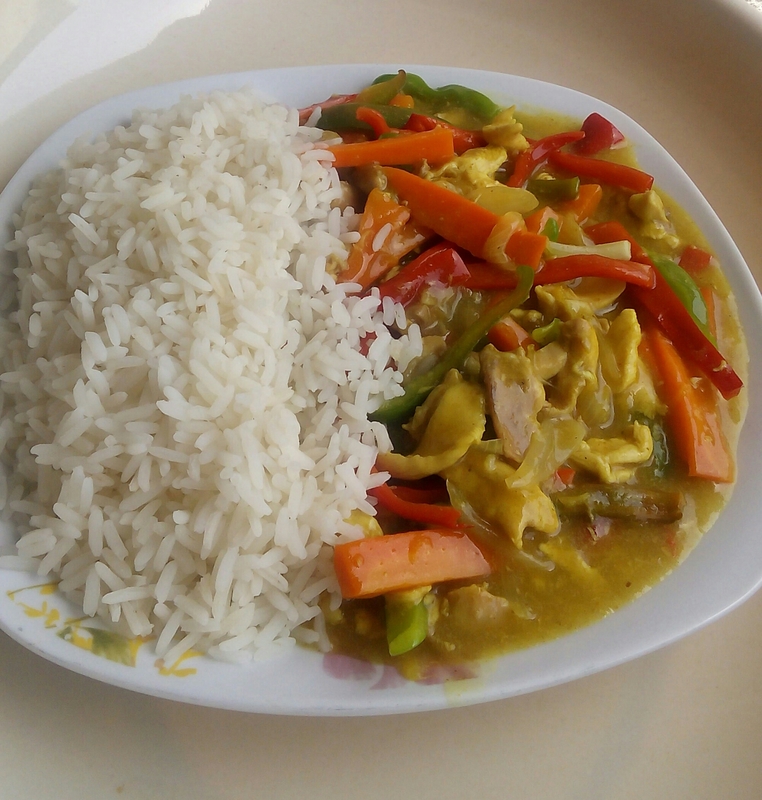 -after 4 mins add the green bell pepper, red bell pepper and onions stir and and off the cooker immediately. Best served with rice or spaghetti. N:B please double the the portion of each ingredients if you are using whole chicken.